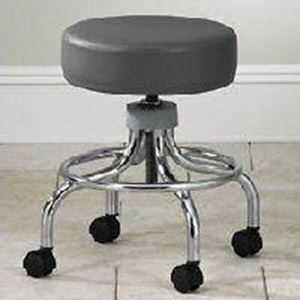 Mobile Stool With Foot Ring Round, padded 14 in. diameter seat ( 20 in. overall width). With foot ring and casters. Height range: 18.5 to 25.5 in. Capacity 400 lb.